You can extend the ssh connection time out by the param ServerAliveInterval as I have mentioned before. But if the connection is accidentally disconnect (maybe by network problem), how can you get resume to your ssh session again ? Linux screen command is the rescure in such these situations. 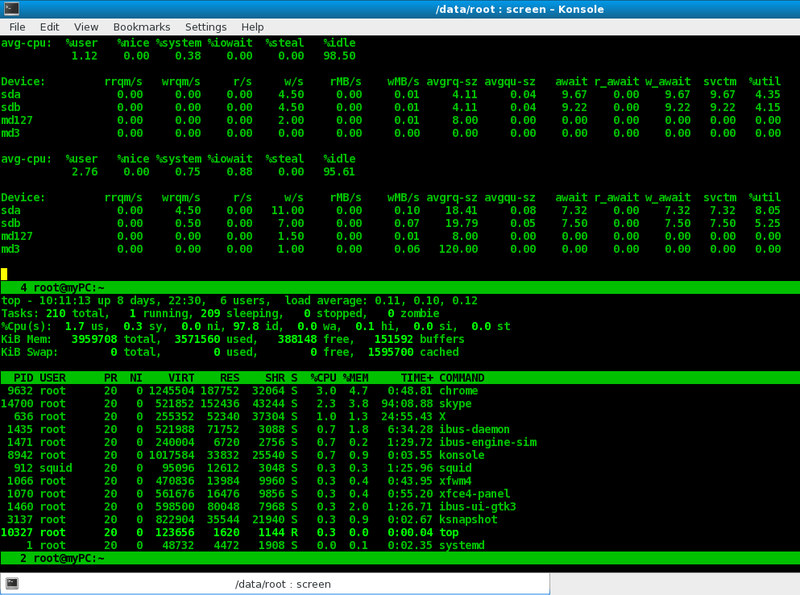 With screen command you can create as many virtual session terminal as you want. I myself right after sucessfully ssh logon, I start screen immediately to get into virtual terminal. If there is any problem causing the connection lost, I can resume back to the right terminal easily. Check if you have installed the screen package. If not, just install it. - To list all screens : Ctrl + a then "
- In this image, I run iostat and top command at the same time in two subscreen devided by horizontal. 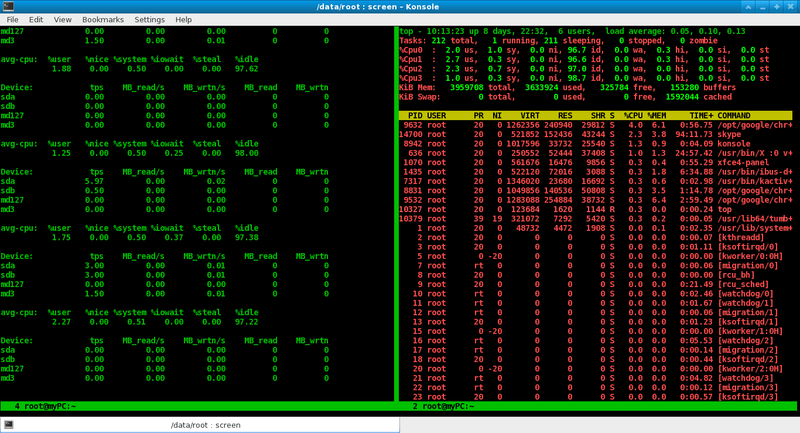 - In this image, I run iostat and top command at the same time in two subscreen devided by vertical. You can try resume by entering a screen and plug out the network cable to simulate the network lost connection, then you can resume by #screen -dr. It works right ? and that's it.